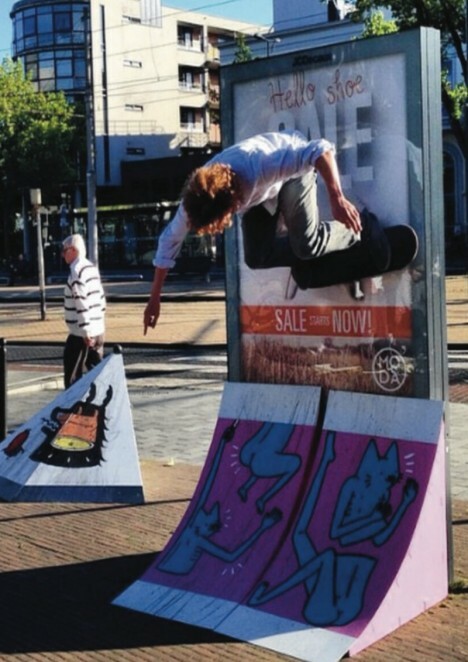 Skateboarding isn’t classified as a real sport in the Netherlands, but one duo decided to take the resulting lack of decent official skate parks into their own hands with a guerrilla solution. 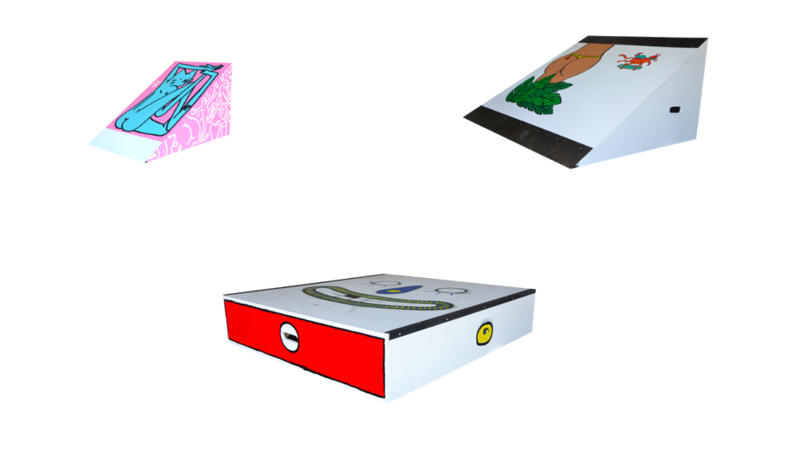 Now, legally or not, virtually any public space can become a skate park thanks to a series of modular DIY components by Martijn Hartwig and Dario Goldbach. 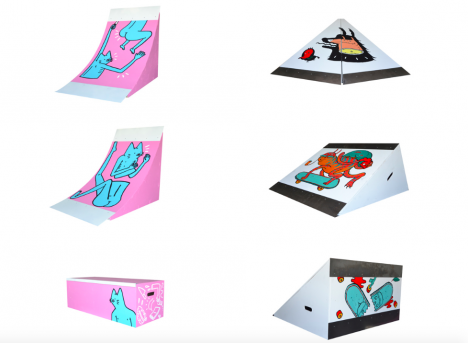 The JIRAJIRA project is the duo’s final work as graphic design graduates at Willem de Kooning Academy, and consists of nine hand-painted ramps, quarter pipes and benches that can be loaded onto rolling platforms and transported to any location within Rotterdam. Dutch artists Leon Karen and Vincent Blok were commissioned to decorate each element, turning the collective park into a sort of portable gallery. Keeping the whole setup mobile is ideal, since the cops are likely to come along and tell you to get lost. The modular parts are designed to work in conjunction with objects typically found in parks and city squares, like trash cans and benches. 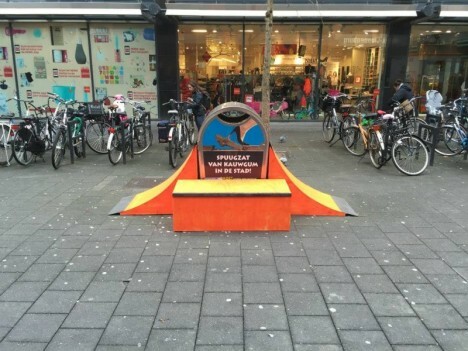 Since skaters are going to make use of any surfaces they can find anyway, possibly including some of the city’s temptingly curvy war monuments, it’s a decent compromise with the authorities. Rotterdam’s only skate park, a metallic monstrosity known as the Westblaak, closed down after being deemed unsafe. In a profile on the city’s scene, skateboarding magazine Kingpin says that since nearly the entire city was destroyed during World War II, most of the streets are smooth and there’s plenty of eminently skateable new construction. “The only downside would be that The Netherlands is pretty much flat, so not too many stairs and or rails,” they note, so clearly the JIRAJIRA project is filling an underserved niche.